If you live or own a home in Louisiana and are facing foreclosure, please see below for the step by step process. When you develop a definite plan of action with well-timed, well-informed steps, you can stop the foreclosure process and save your home. We have outlined the foreclosure process for the state of Louisiana. In contrast to the laws of most of the states, which are based on the English common-law system, Louisiana laws are based on the civil law system used throughout most of Europe and much of the world. Under Louisiana's system of laws, judicial foreclosure is the rule and deed of trust or power of sale type sales are not permitted (though Roman law itself would have allowed it). (2) executory process. Ordinary process operates as an ordinary lawsuit in Louisiana. This is an accelerated procedure of a summary nature by which the lender uses a mortgage that includes an "authentic act that imparts a confession of judgment." In practice this means the mortgage is signed before a notary and two witnesses. 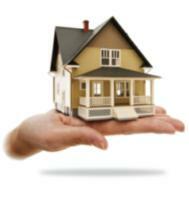 The borrower declares and acknowledges the obligations under the mortgage. Later, when the lender wants to foreclose, the lender files a suit in court, and attaches the original note and a certified copy of the mortgage. The court can then enter an order for the issuance of executory process. In the past, executory process skipped citation, contradictory hearings and judgments. The problem with such procedures in the past has been a constitutional one. The U.S. Supreme Court, in the famous case of Fuentes V Shevin 1407 U.S. 67 (1972), held that the defendant in any lawsuit must be given notice of the suit and an opportunity to be heard in court. Louisiana's current executory process procedures barely comply with these requirements. Once executory process issues, the borrower is served with a demand for payments that are due and unpaid on the loan. The borrower has three days to come up with the money. If the borrower doesn't pay, the court will issue a writ of seizure and sale, armed with which, the sheriff will seize the real estate. The borrower gets a notice of seizure. The property is then advertised once a week for 30 days. The sheriff will then sell the property at auction to pay down or pay off the loan. Executory process is harsh and exacting. Executory process would allow a lender to seize possession of the property prior to reselling it at a foreclosure sale. Ordinary Process In ordinary process the lender files a lawsuit to foreclose the mortgage. The borrower is served as a regular defendant in the lawsuit and the procedures for an ordinary lawsuit are followed. If the borrower loses, the court will enter judgment in favor of the lender. After that, a writ of fieri facias will be issued directing the property to be sold to pay off the loan. The lender must obtain a deficiency judgment by an ordinary lawsuit, either in conjunction with executory process or as a separate suit. A deficiency cannot be obtained by executory process alone. Executory process will allow seizure and sale of the property, but not a personal judgment. Louisiana does not recognize a right of redemption.